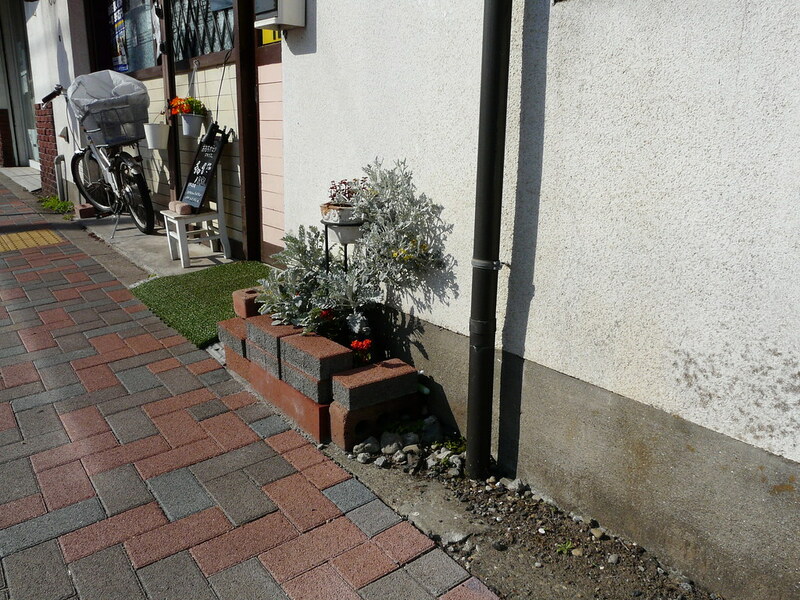 A line of bricks provides just enough space to add color to a bleak footpath. 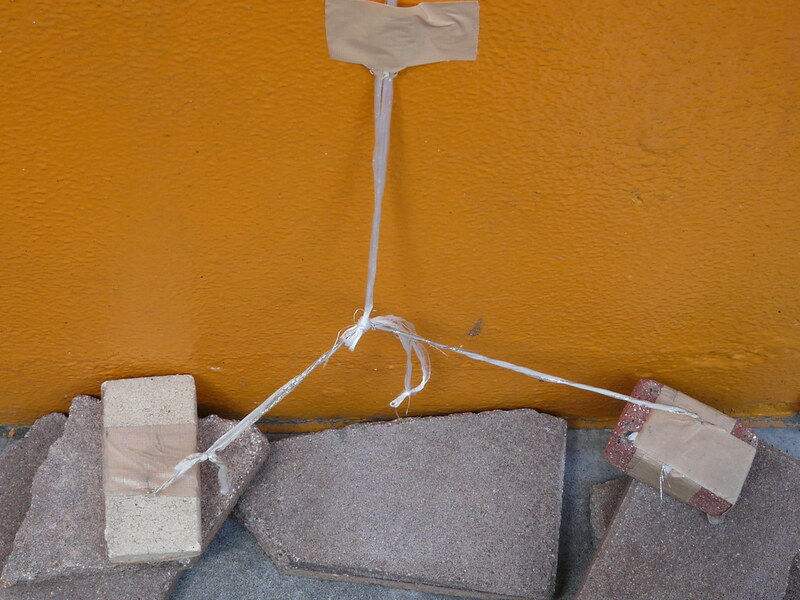 Easel legs thread through bricks for stabilization of a entrance menu. 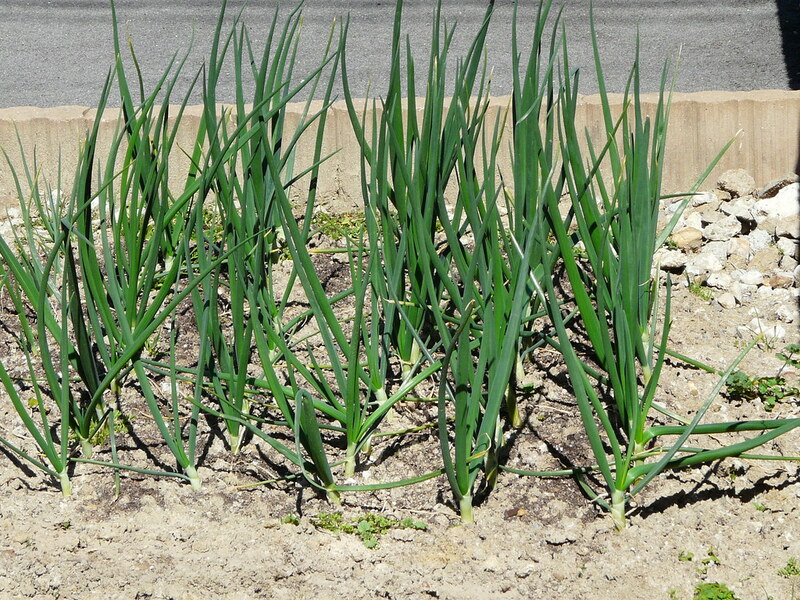 Dead space unsuable for parking or commerce is just big enough for a family size harvest of onions. 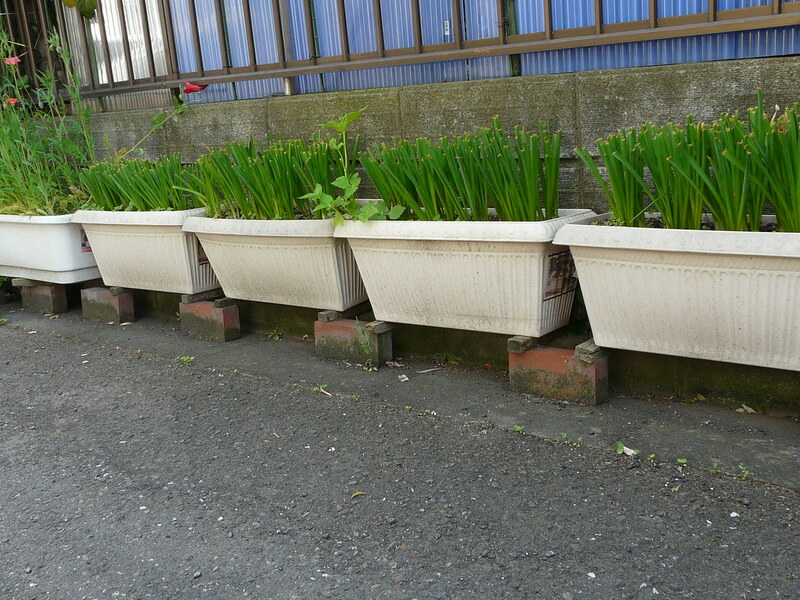 Plants trump cars (or rather, genially share space with them) in this family-feeding size parking lot planter. 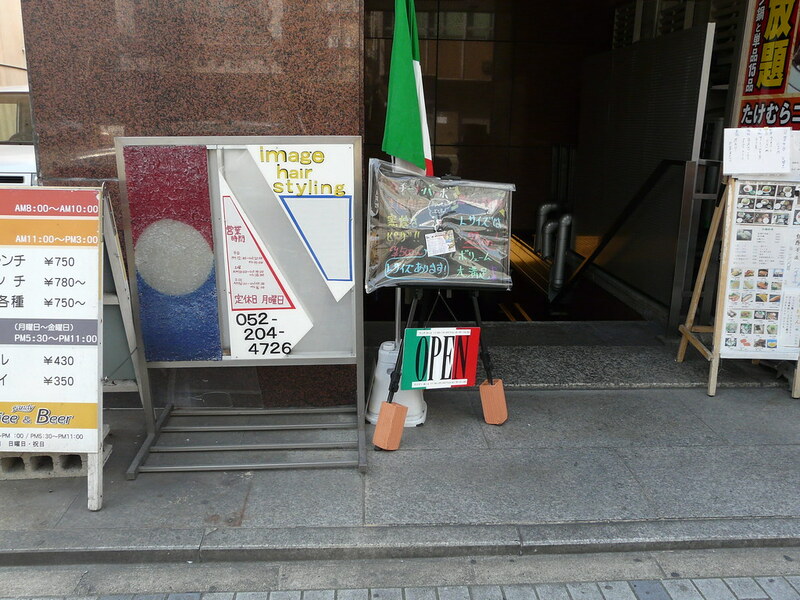 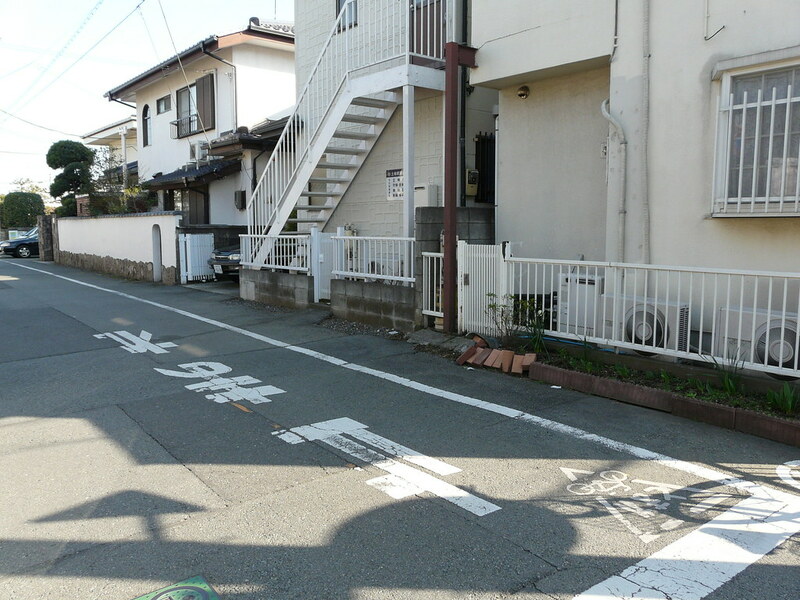 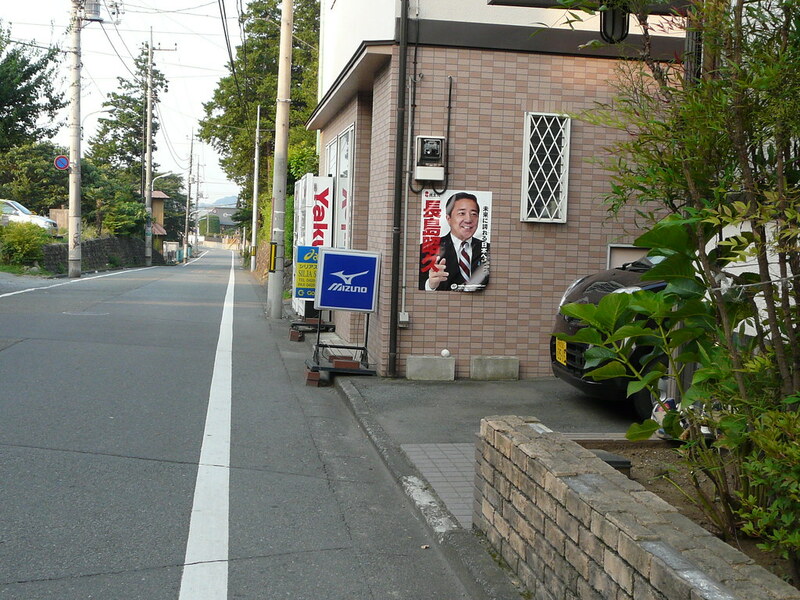 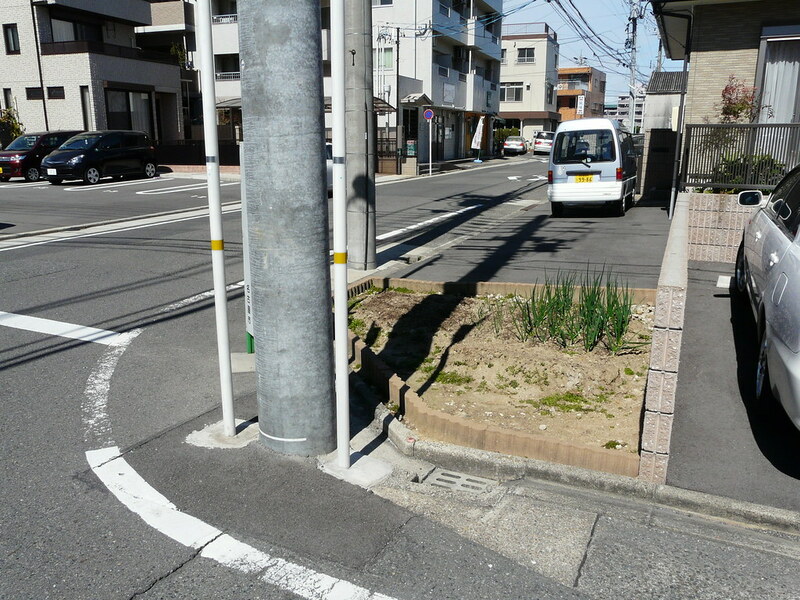 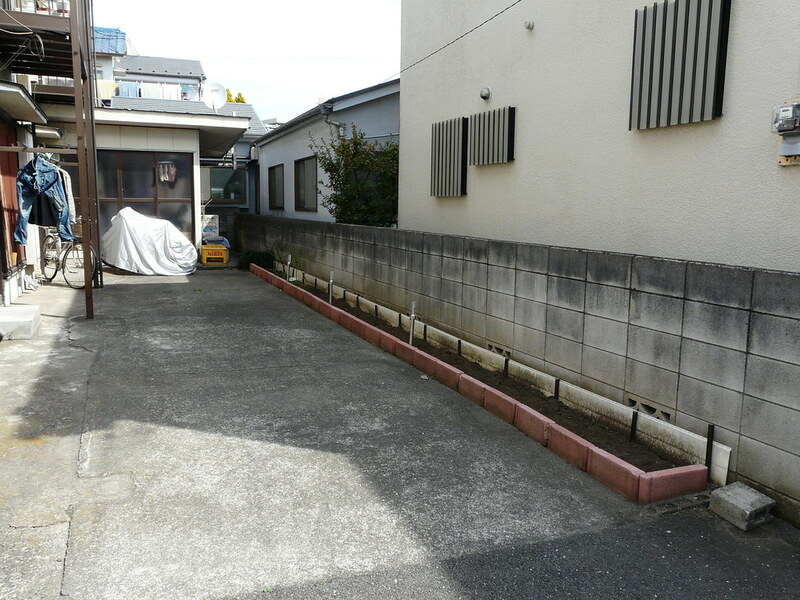 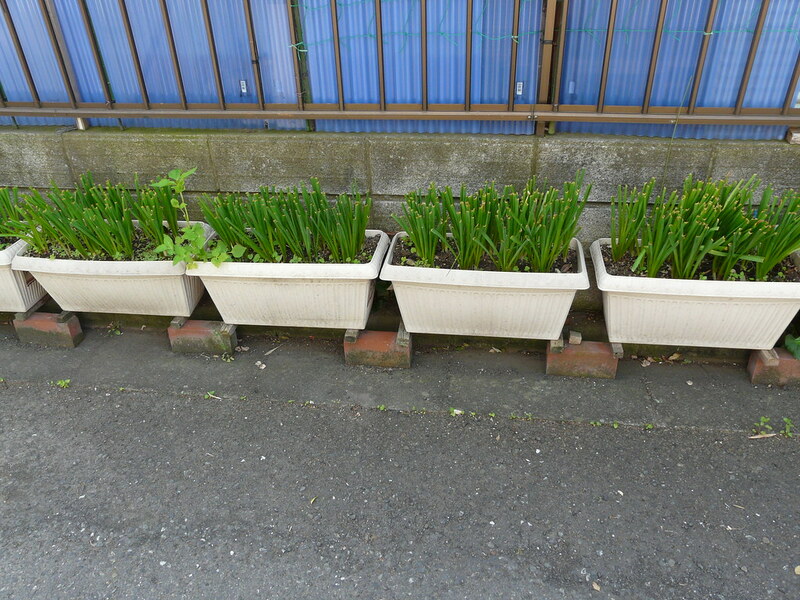 See also Pots Trump Cars in Kokubunji on this site – and blocking plants and 4 ways to use parking space from the fantastic Linus Yng. 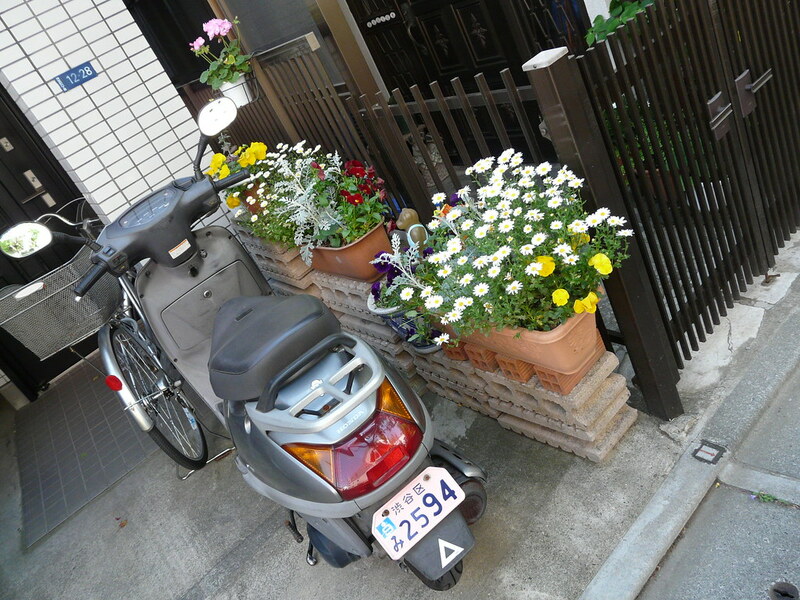 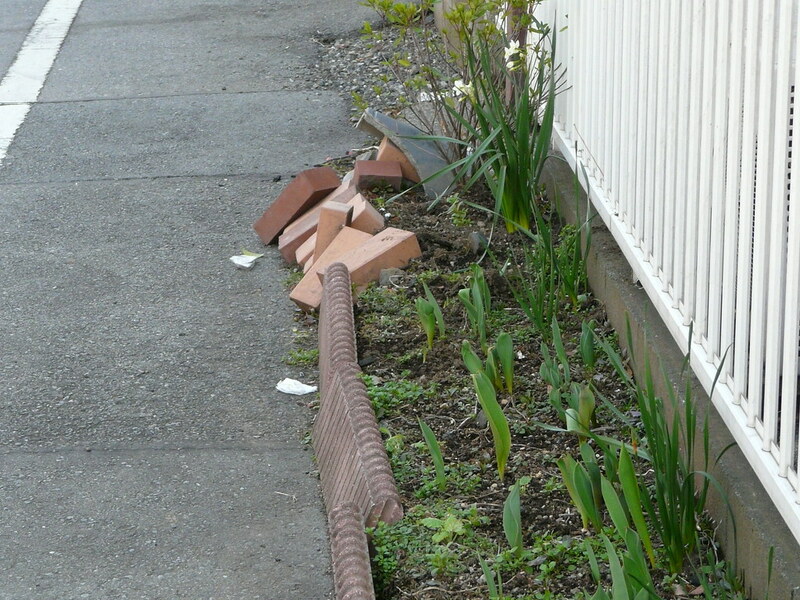 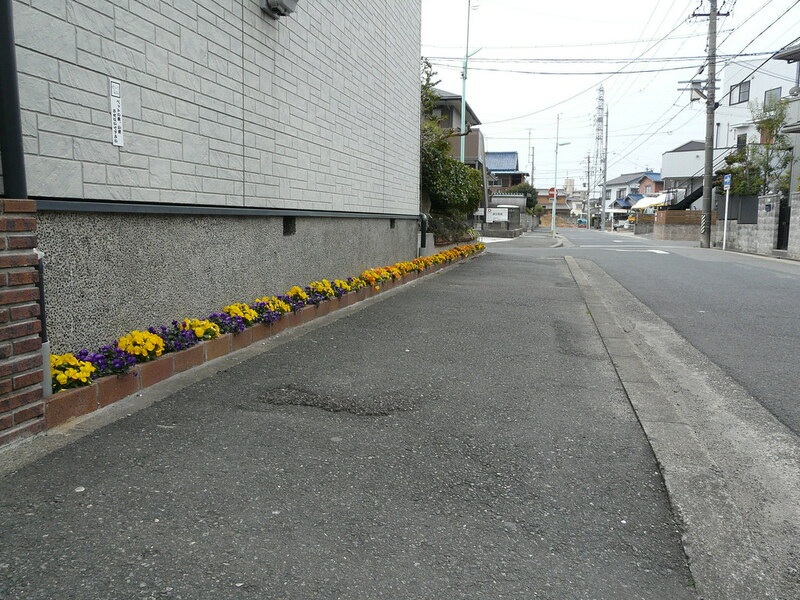 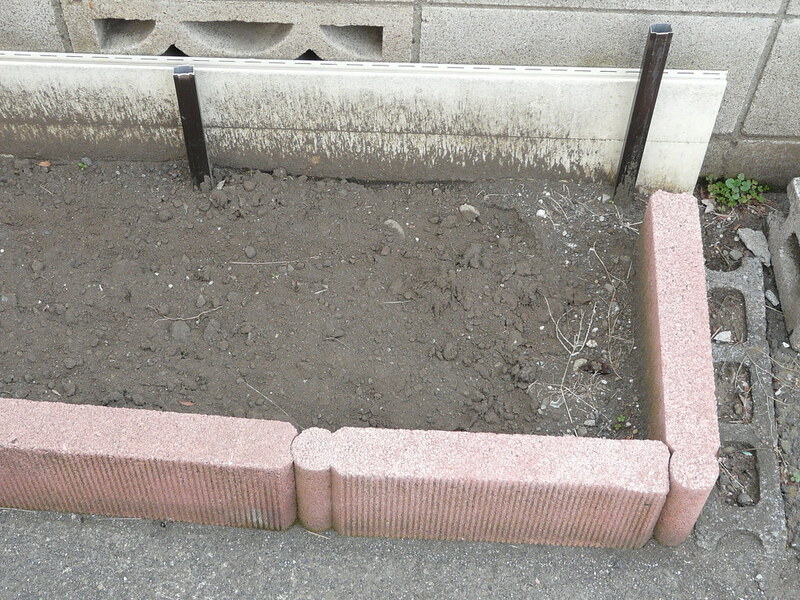 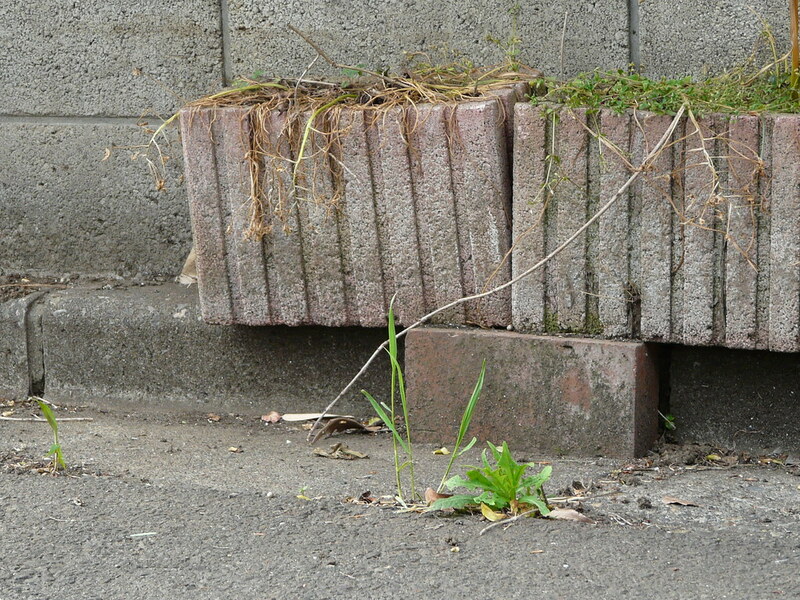 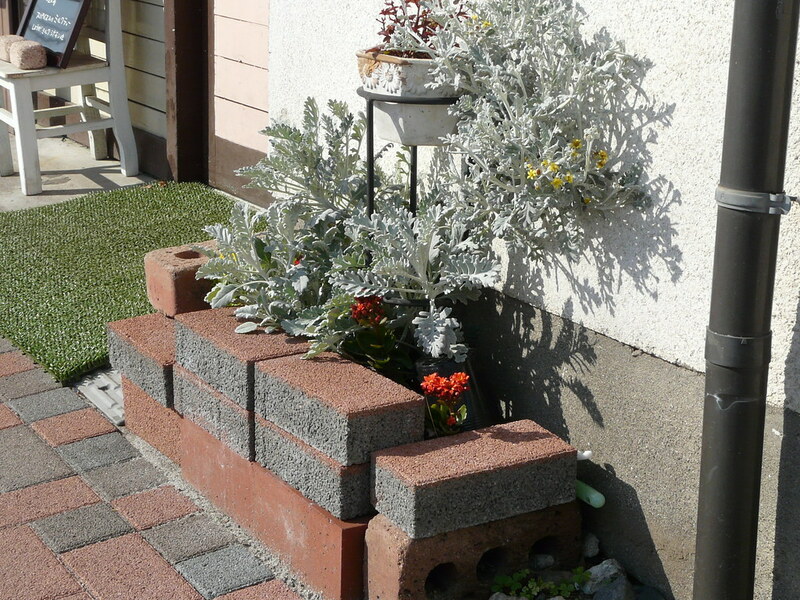 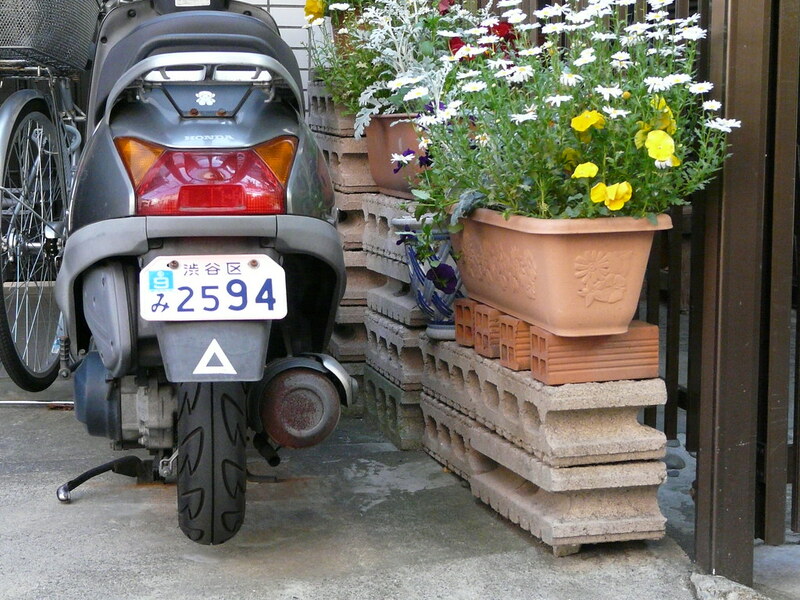 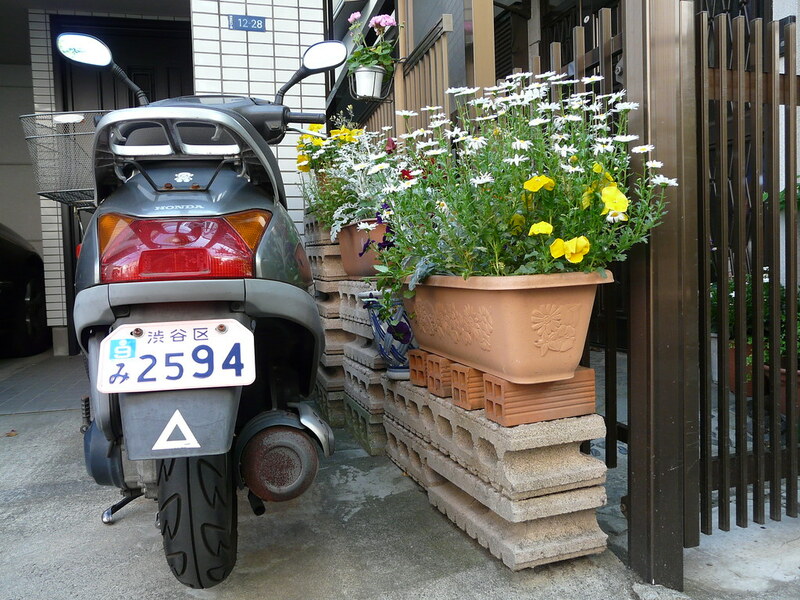 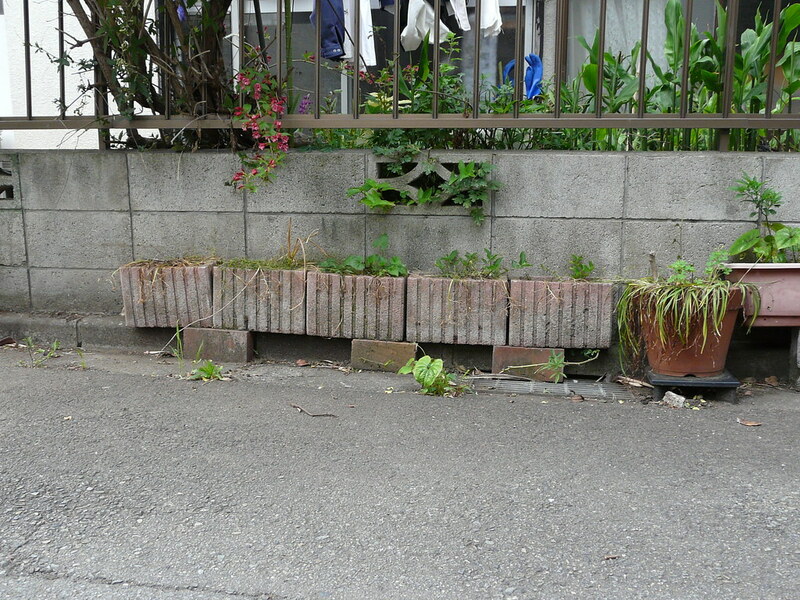 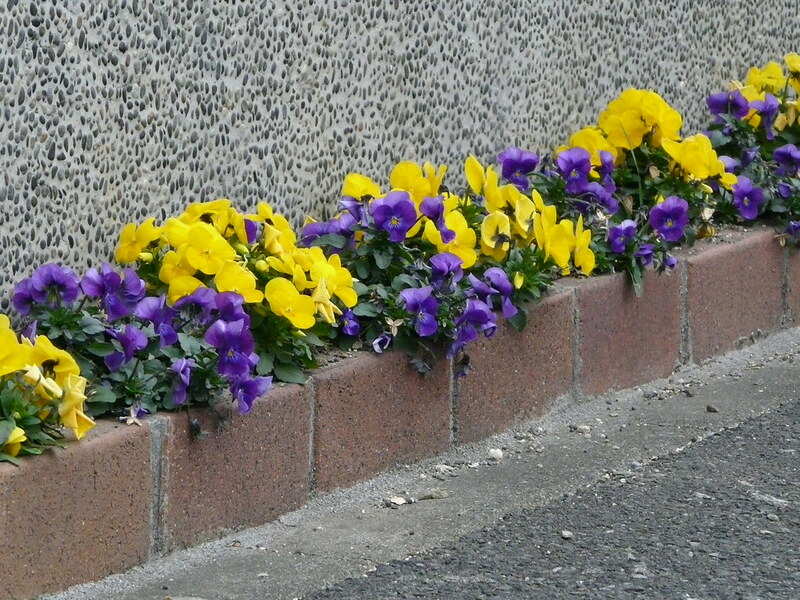 Long roadside planter constructed of loosely packed bricks also functions as parking deterrent on residential street. 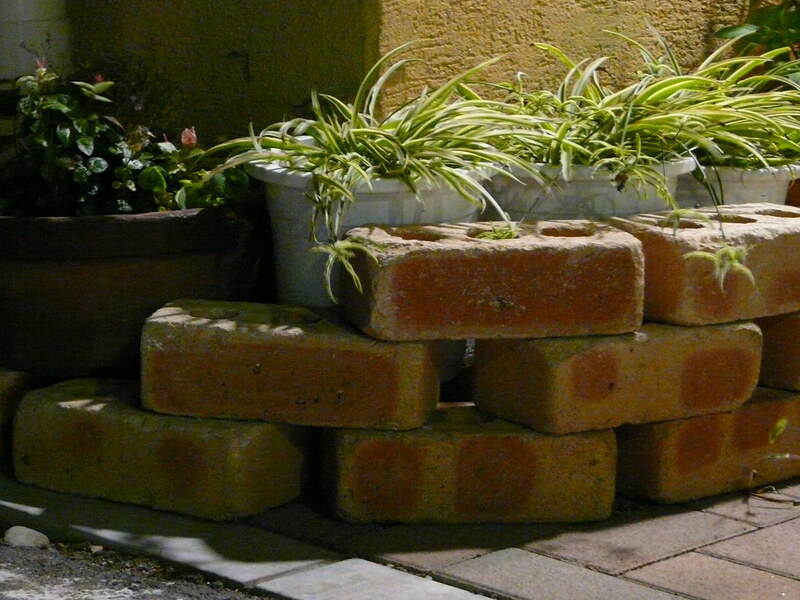 Loose bricks arranged around potplants in an attempt to beautify a mom-n-pop suburban retail space. 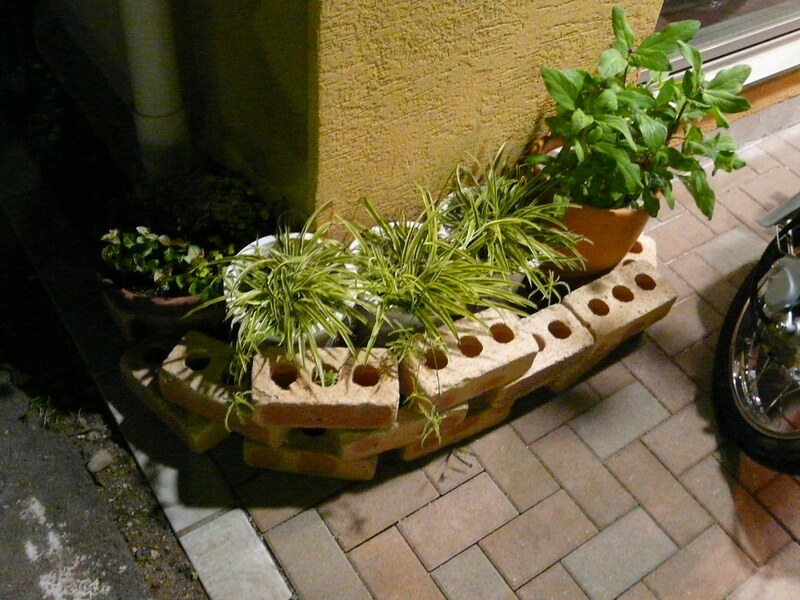 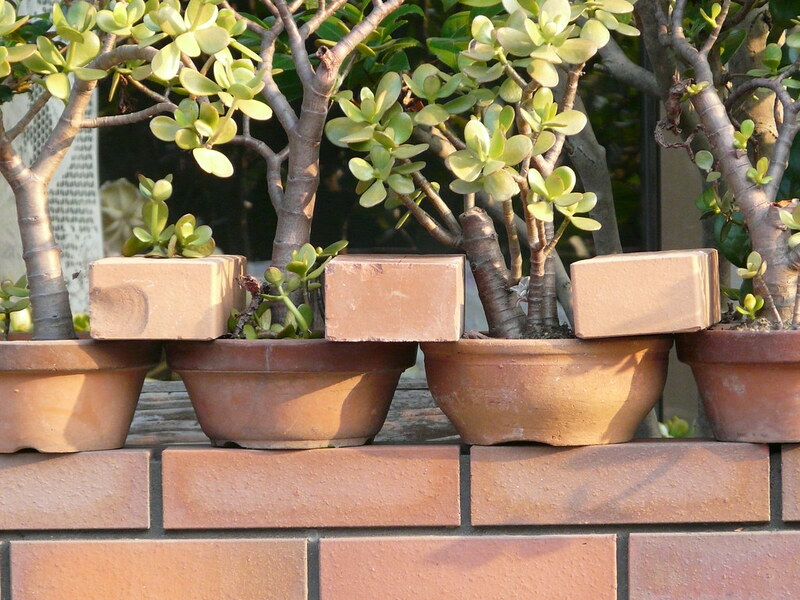 Potplants secured top their precarious wall-top position with bricks. 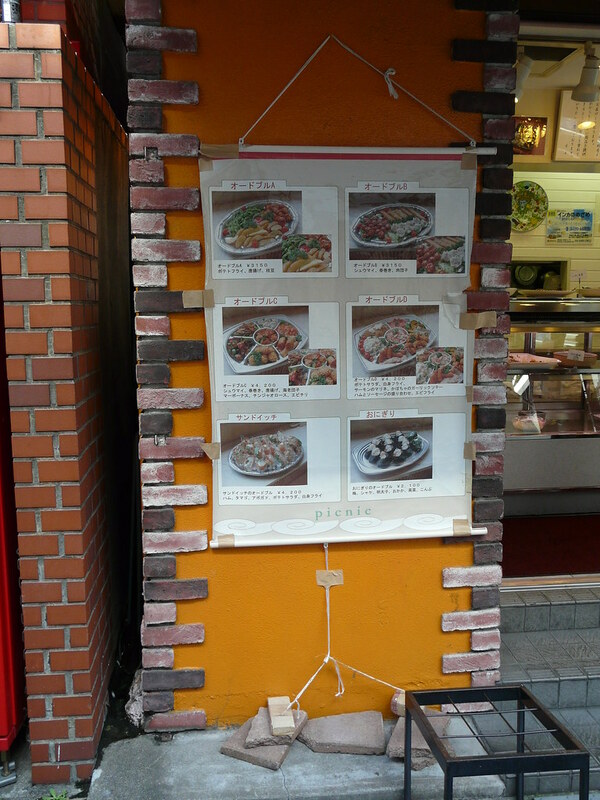 Outdoor lightbox-type signage is supported and secured by bricks placed under and on top of the structure. 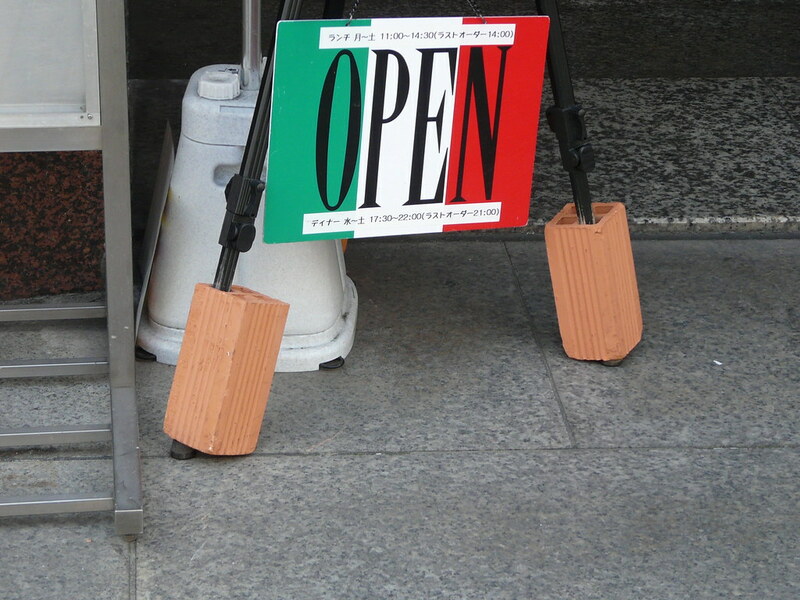 One sign to six bricks. 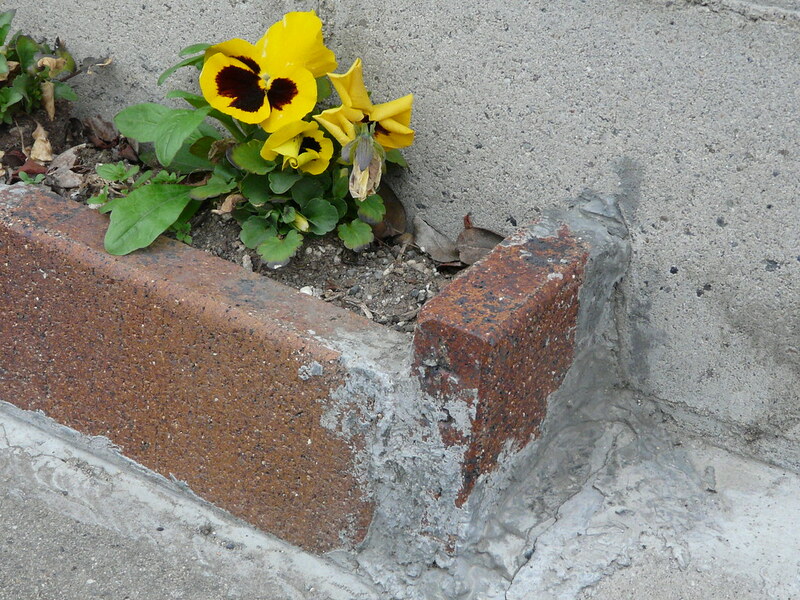 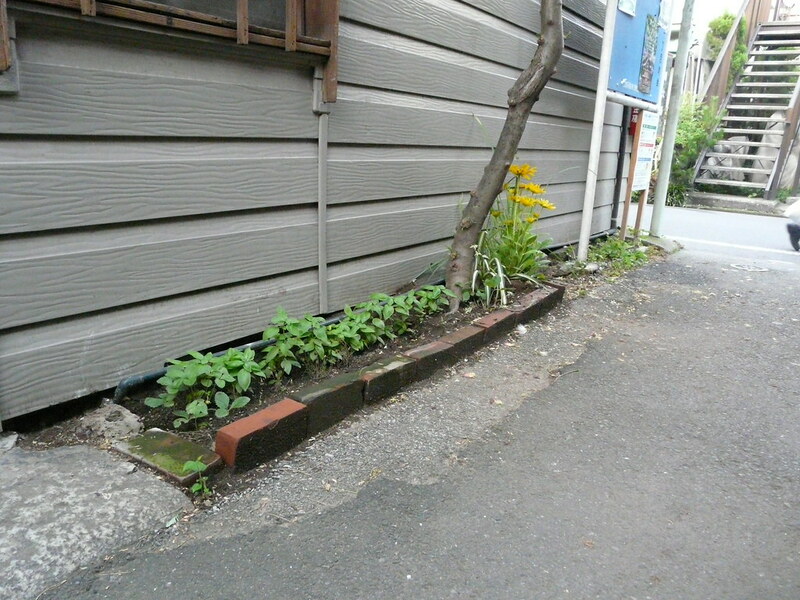 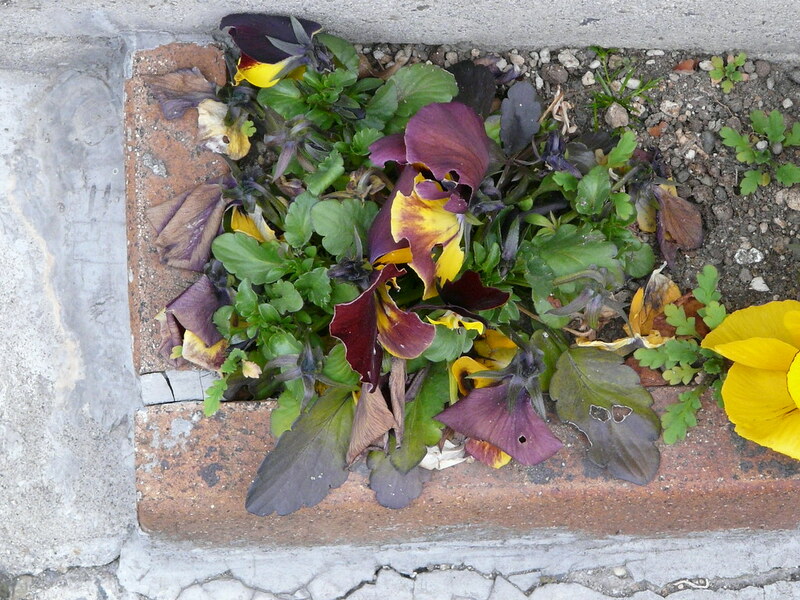 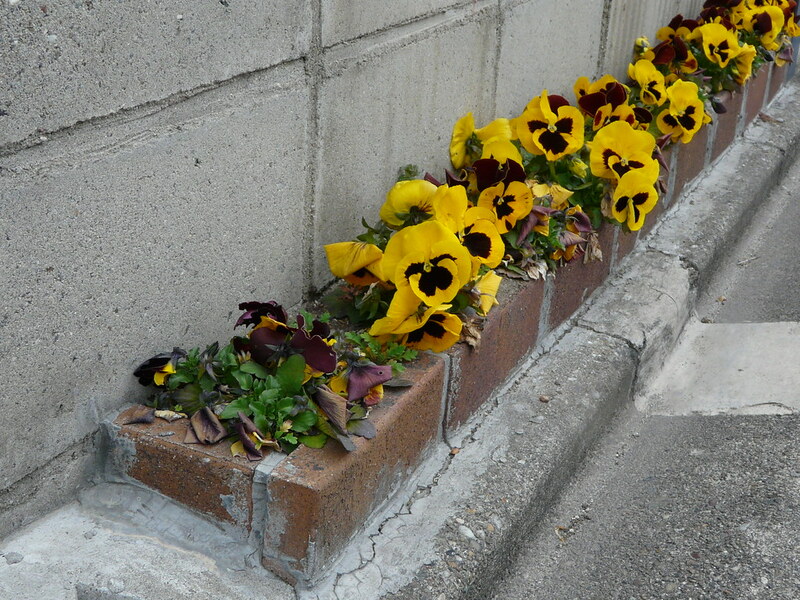 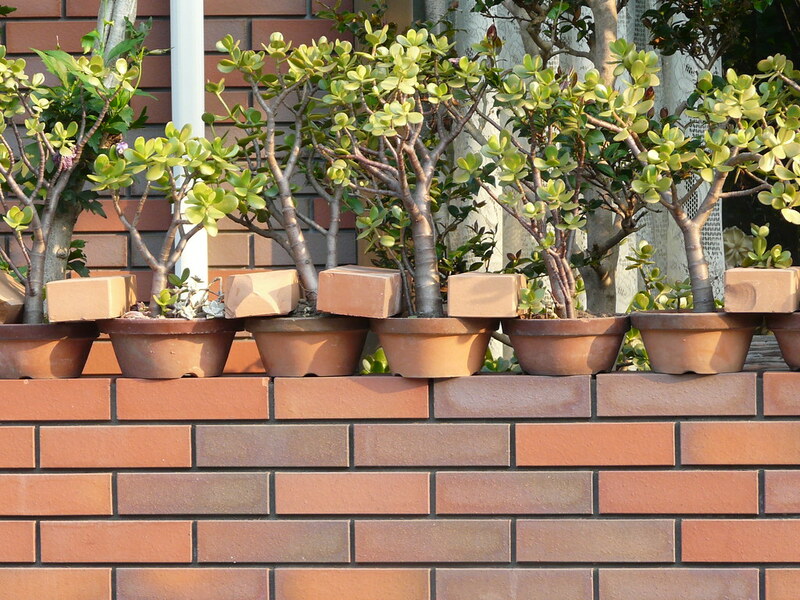 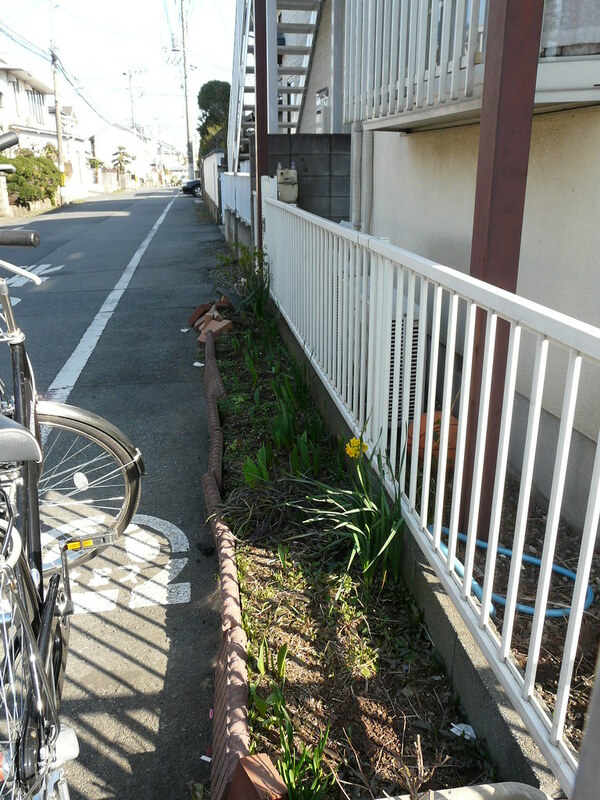 A few bricks in the right place create a living and edible space out of dead in a Yanaka lane. 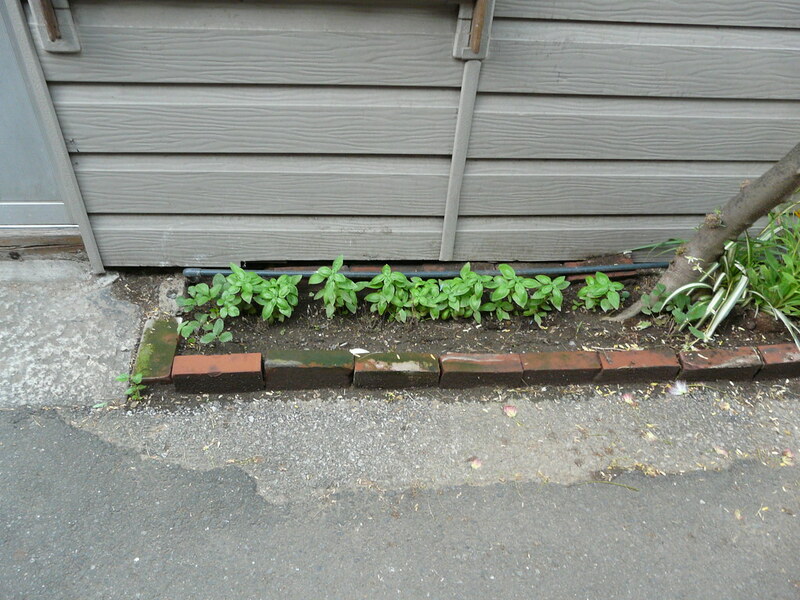 Basil is fast growing and pretty hardy – great for an ad hoc spot of tasty green. 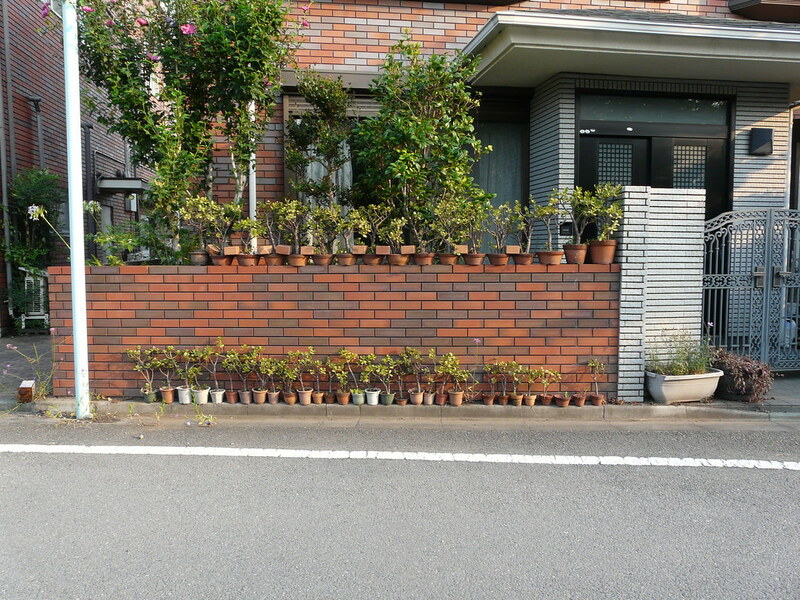 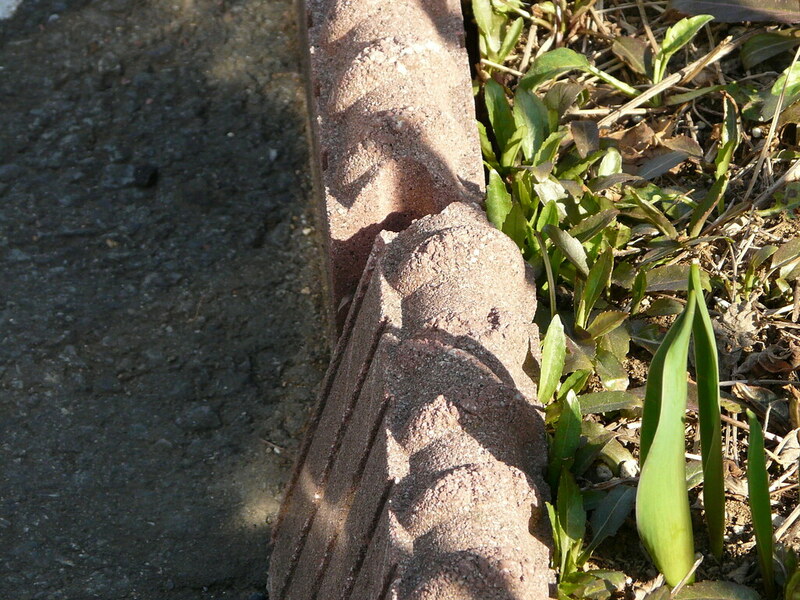 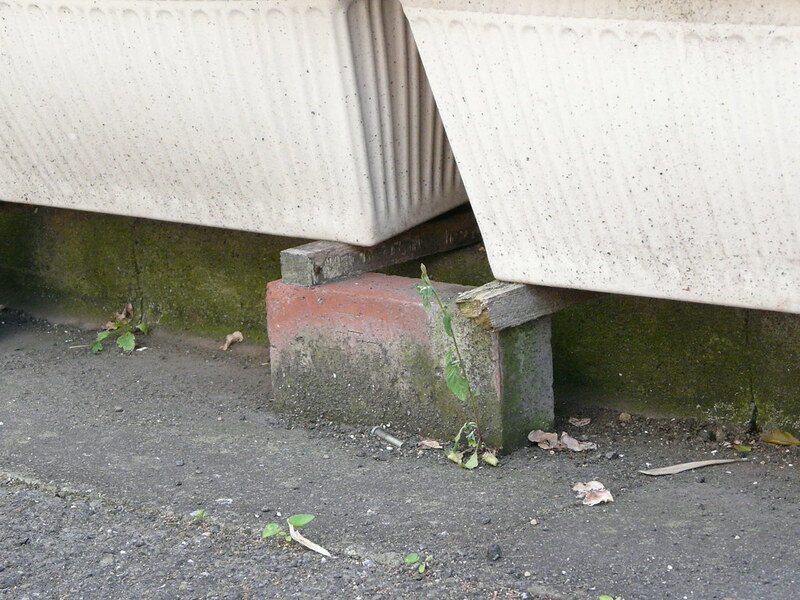 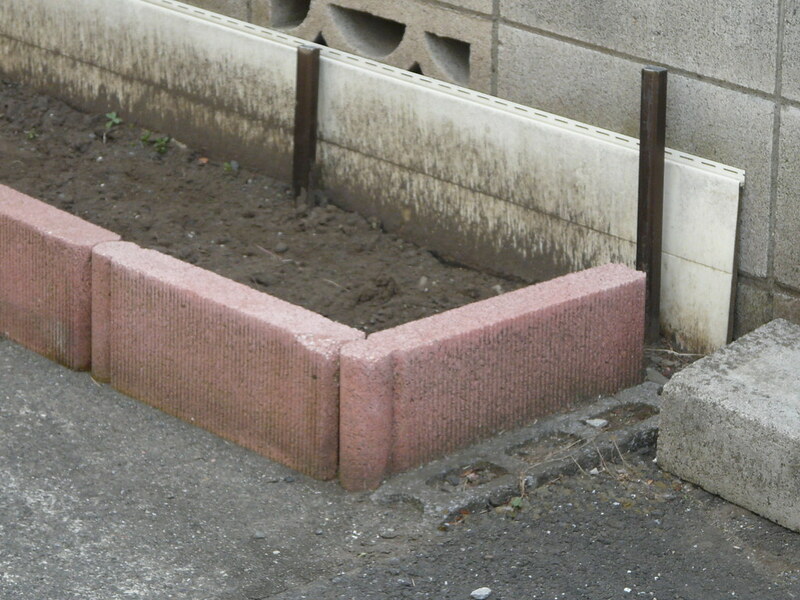 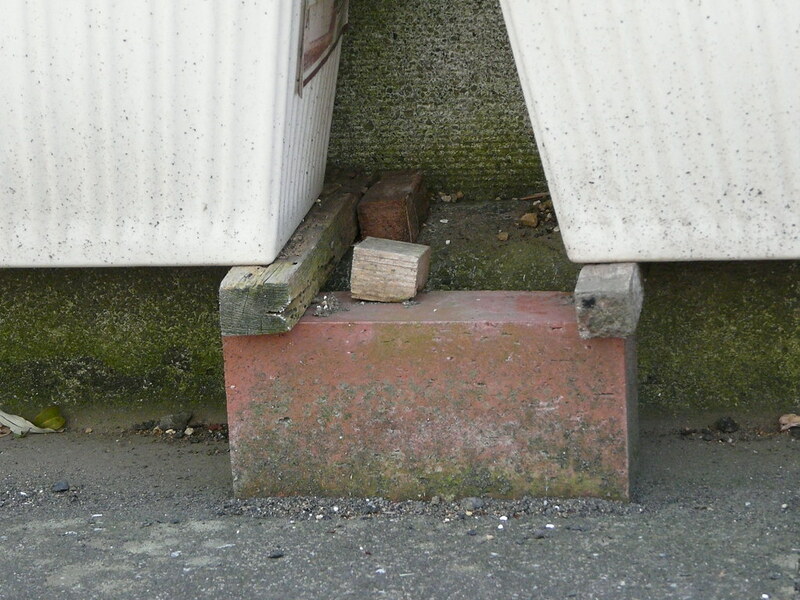 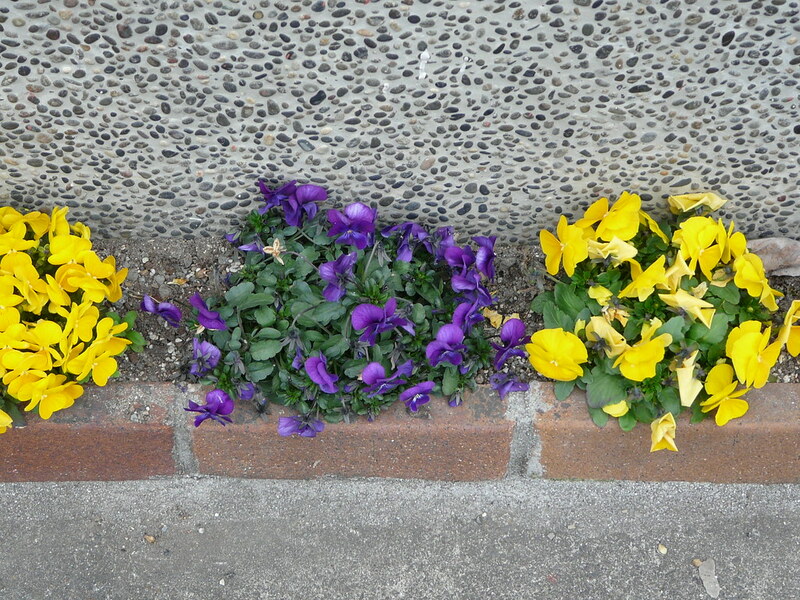 Bricks used as planters on curb outside house. 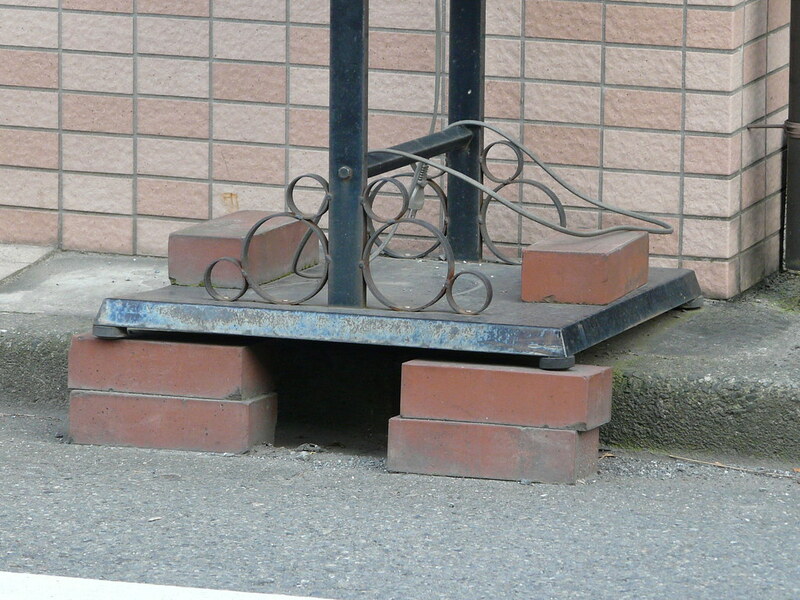 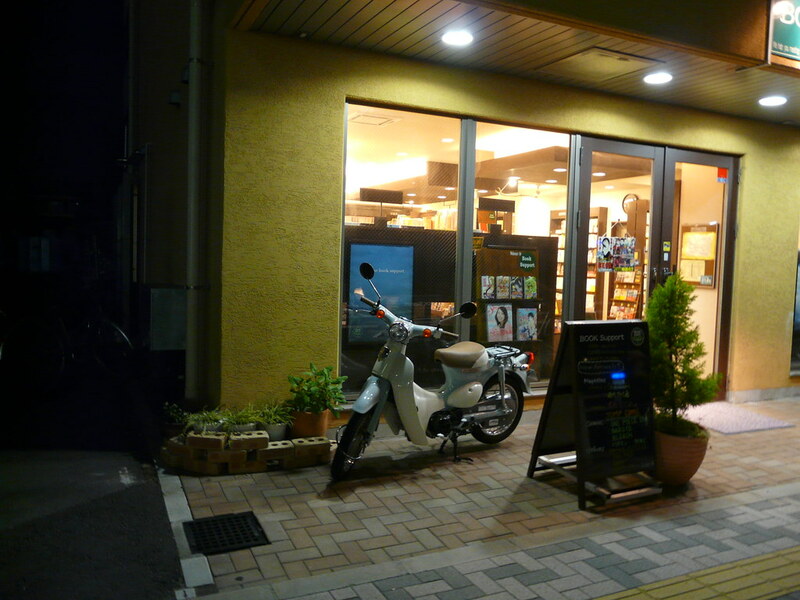 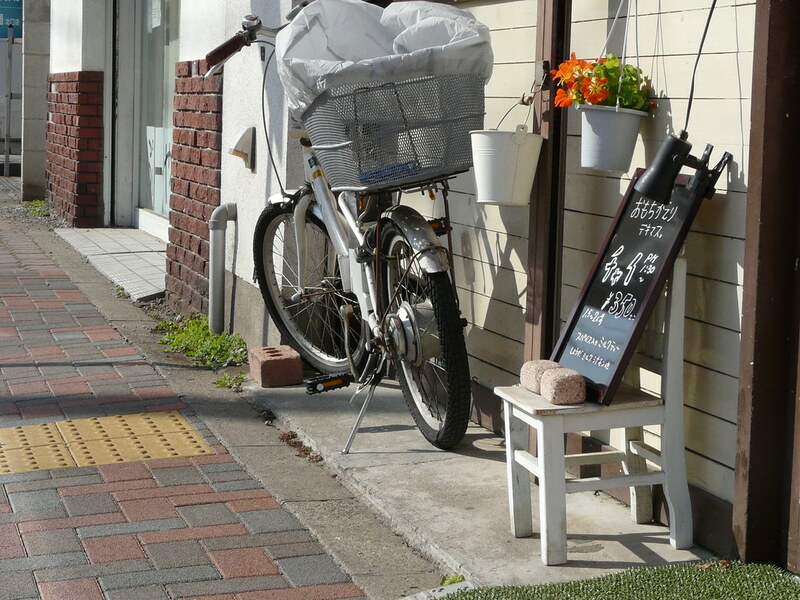 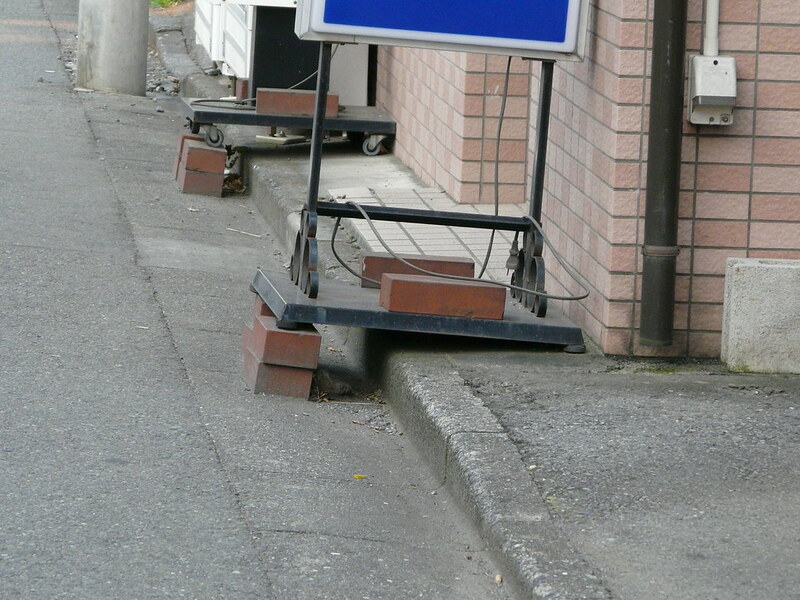 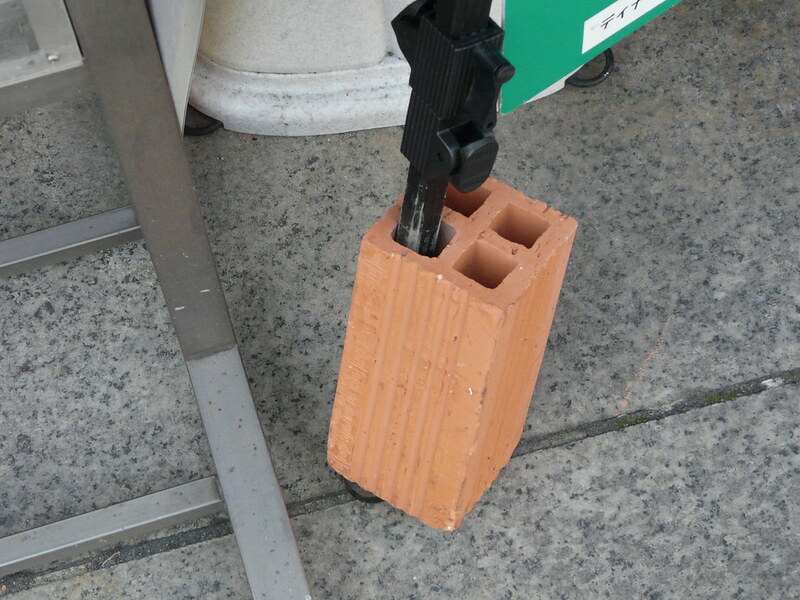 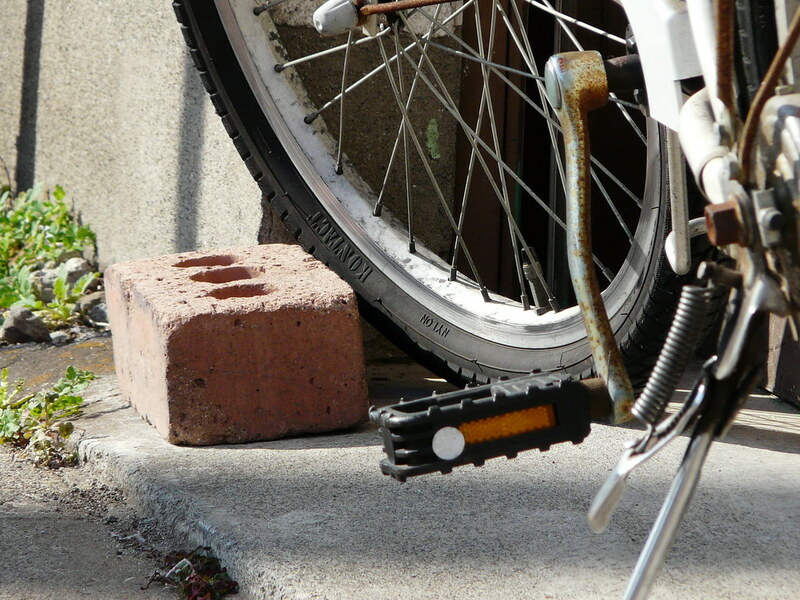 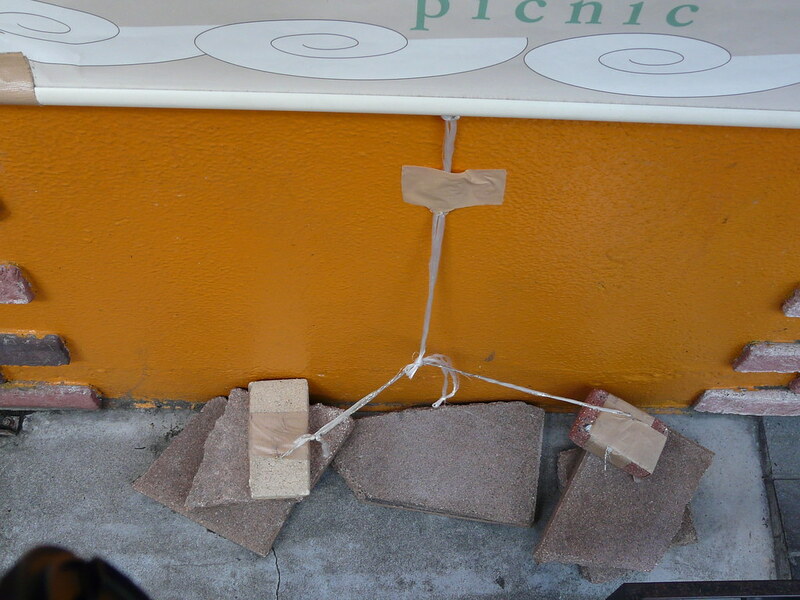 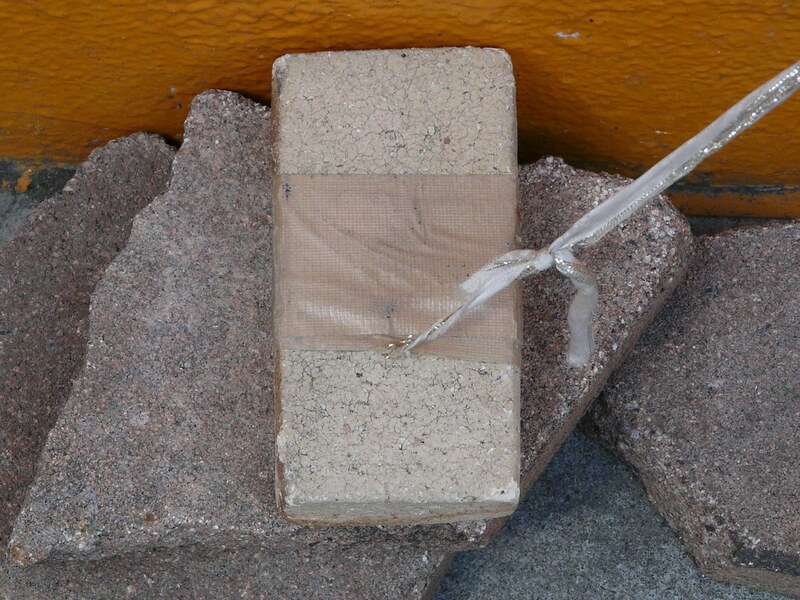 A single brick acts as an elegant and sufficient stopping block for a bicycle outside a local restaurant. 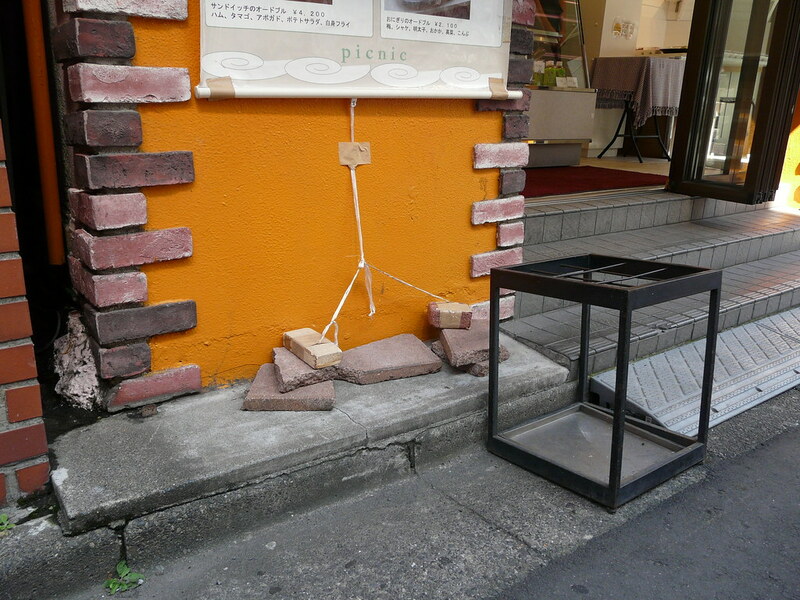 Stacked bricks form a space for a little garden in front of a local restaurant. 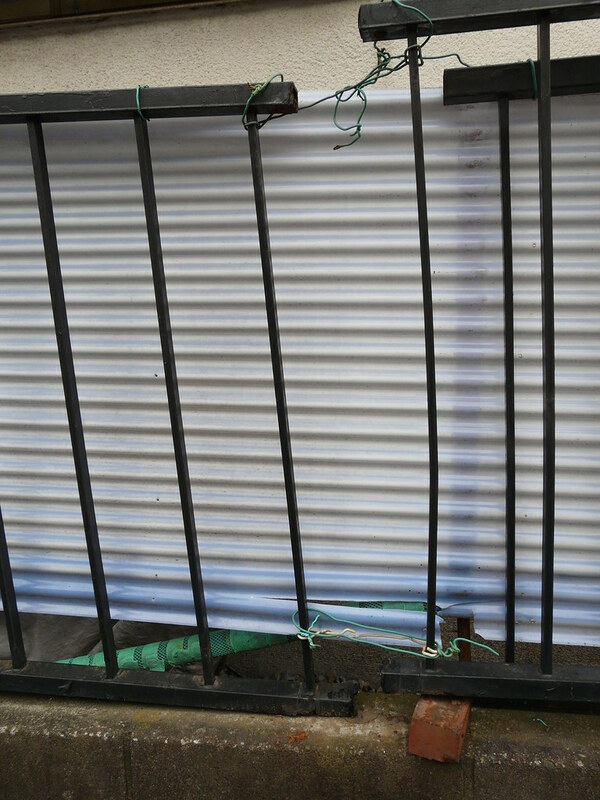 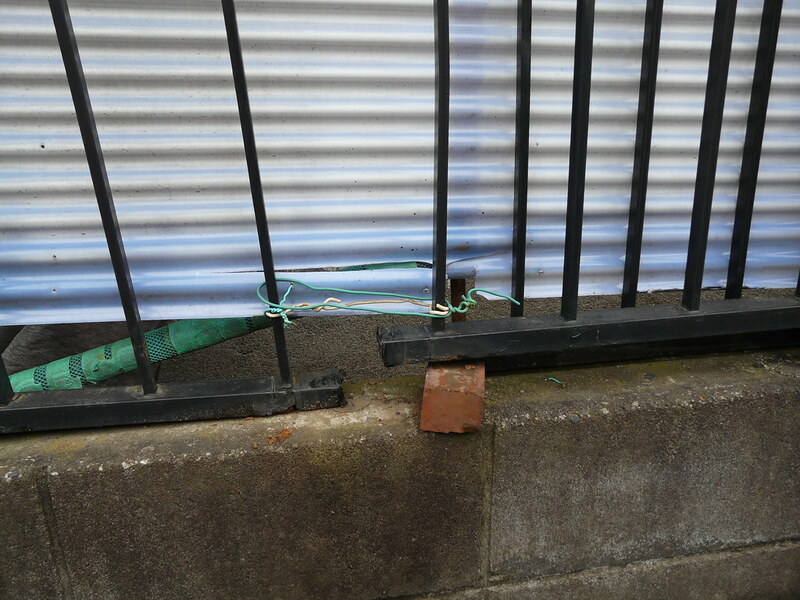 A storage space/fence construced from pieces of a broken fence and corrugated cardboard. 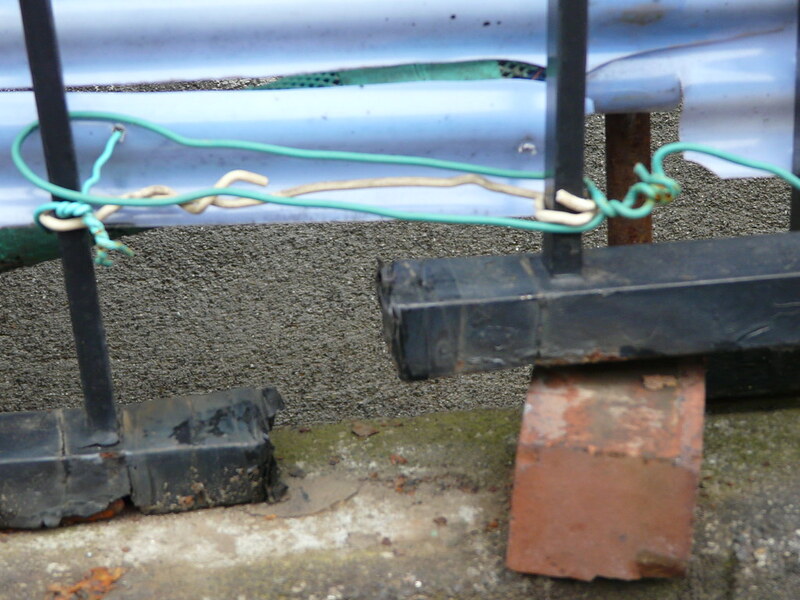 Held together with wire and evened out with bricks supports.